From this point on we shall presume that you are using WordPress. If this is not the case, then most of the following advice will apply but some of the specifics and details may be different. Now that you have your URL and you’ve installed WordPress, you’re ready to start creating. The first thing to do? Think about the design you want to use! But that doesn’t mean your web design. This won’t come until later. Instead, you’re going to focus on your logo first. Why? Because your logo is a crucial part of your branding and chances are that you’re going to want to use a web design heavily inspired by your logo. Your web design will probably use colors from your logo, it will probably use certain visual cues and this will help to create a consistent design language for your entire site. It’s a great starting point and it will make coming up with your design that much easier. It needs to be versatile and simple because you’re going to be using this in various different places throughout your online presence. Your logo will go right at the top of your website but it’s also going to go front and center on your Facebook page, it will be right up top on your Twitter page. And if you build an app then it will be there too. We’ll see later how important it is to have a strong presence on social media: and having a great logo will really make a big difference to that and will help to create brand visibility and loyalty. In terms of originality, you need to avoid obvious clichés that are present in too many logos. Ticks, globes and lightbulbs have been done to death and as such you should really avoid these unless you want your website to look like a massive cliché. That said though, don’t go for something so creative that it doesn’t communicate your message at all. Your logo should entirely on its own tell visitors what your site is about and what type of site they’re on. This will tell you whether the logo should be fun, whether it should be professional and whether it should be colorful. A great process to go through when creating your logo is to create a mood board. This is essentially a collage where you will place everything that you can think of that you like, that relates to your business and niche and that you might consider emulating. This can be other logos, it can be photos of color palettes or it can be random sketches you’ve made. Create a big enough collection and eventually you should find that some themes and patterns begin to emerge. This way you can then start sketching some ideas, combining elements and trying out different approaches. Some you will like and some you’ll throw out. This spit-balling process though will help to lead you in the right direction. Likewise, it can help to look at the name of your website and brand and to try working with that. Are there any letters that could be morphed into one of your related items? What should the font look like? For text, it’s important to use an interesting font that looks professional. Ideally, you’ll also want to use a font that is unique to you. A good solution here then is to download a custom font from FontSquirrel.com (a great repository of free TTF and OTF files) and then to trace over your company name, making edits as you do to make it original. This way, your font will be unique but at the same time, it will be based on something that looks professional. Finally, take whatever you have designed and then simplify it and scale it back. Remove anything superfluous and the more you cut away, the better and more impactful it will be. Note that when you create your logo, you should do so using vector software. This includes the likes of Adobe Illustrator. Vector software works differently from raster software that produces PNG and JPG images. While the latter creates a ‘map’ of where all the pixels are going to go, the former lets you define the angle, length and direction of the lines that create the image. This means that vector images can be drawn at any size with no loss in quality and that you can easily make edits to the image when you need to use the logo in a new context. The best choice if you can afford it, is to use Adobe Illustrator. This will produce an AI file and you can then use that to make new PNGs as they’re needed. Now you have your logo, you should have some ideas for your color palette and you should be ready to start thinking about the artistic direction of your website. At this point, with WordPress installed, you should already have a rather attractive looking website that utilizes WordPress’ default theme for the year. The current ‘Twenty Fifteen’ theme looks very sleek and modern with light colors and a very ‘picture heavy’ layout. You can swap the title for your new logo and right away you’ll see that it looks out of place. It’s also important to use a theme as otherwise your site won’t look very professional – it will look as though you didn’t know how to create a theme of your own and so opted to go with what was available by default. Adding a theme means applying a new layout and look that has been predefined for you. This can then instantly change the visual impact your website makes, as well as the way your visitors will navigate around it. You can find themes to install for free right through WordPress and can preview them through the control panel before selecting which one you want. The problem with free themes though is that they tend to be less professional looking than paid themes and they tend to have fewer options. At the same time, there’s always the risk with a free theme that someone else will have chosen exactly the same theme of you. This dilutes your brand identity and it doesn’t exactly scream professionalism. Instead then, it might be better to look for paid WordPress themes. This can again be done through your WordPress control panel, it can be done by looking on other sites like Theme Forest, or it can be done by hiring a team of designers to create a custom theme on your behalf. Of course that latter option is the best way to get a theme that is perfectly matched to your branding and your requirements. When choosing a theme, try to keep a few things in mind. For starters, you need to pick a theme that will be well suited to the type of website you’re going to create. Some themes are very image-heavy for instance and will feature sliders on the front page as well as lots of large crisp images linking to each of the posts you upload. This is a great way to make your blog look more modern and more visually compelling but at the same time, it’s also important that you consider the work that goes into this and the requirements. Will your content lend itself to being image heavy? Will you have the means and resources to acquire lots of large graphics that you have the rights to use legally? Do you want to spend time reshaping the content? hand will be better suited to sites that are made up of a single or a few static pages. If you’re torn between themes, try taking a look at some of the blogs that you enjoy and admire. What layouts do they feature? What is good or bad about that? Again – if they’ve shown that that kind of layout can work, it basically verifies the strategy and ensures you won’t be wasting your time working with a doomed web design. 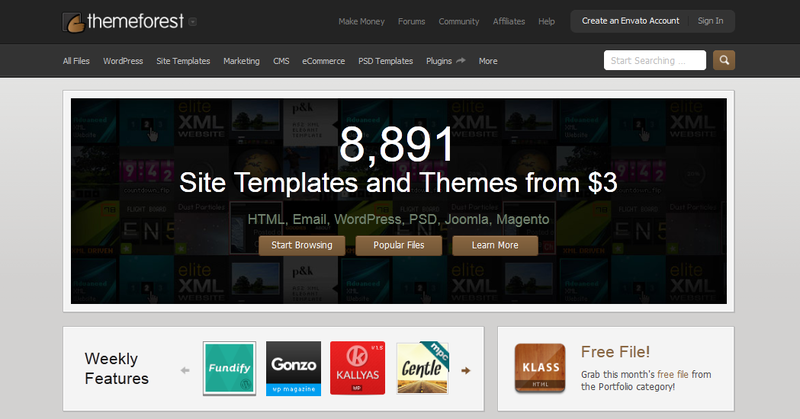 A great place to look for premium themes you can buy is at ThemeForest.com. WordPress is highly customizable and this is another one of its huge advantages. We’ve already picked a website theme but now we can go one step further by tweaking that theme to be just the way we want it. WordPress allows you to do this by default under the ‘Appearance’ tab where you can change things like your header and footer, your logo, your background, the color scheme etc. Most themes though will also come with their own options panel where you can make additional tweaks and customizations. One thing you should do right away is to match elements of your website to your logo’s precise color code. This will create a strong sense of consistency throughout your web design and will ensure that everything matches neatly. It’s not enough to feature ‘almost the same’ blue – it needs to be 100% identical blue. A few recommended and popular WordPress themes you can use are Thesis (http://diythemes.com/) and the Genesis Framework (http://my.studiopress.com/themes/). which colors should look good together and which shouldn’t on a color wheel. When using this approach you have a number of options. One is to pick ‘complementary colors’ which are the colors opposite each other on a color wheel. Purple and green look good together for instance as do any combination of three colors spaced evenly apart. Another option is to go for ‘analogous’ colors which are colors that are directly next to each other on the color chart. 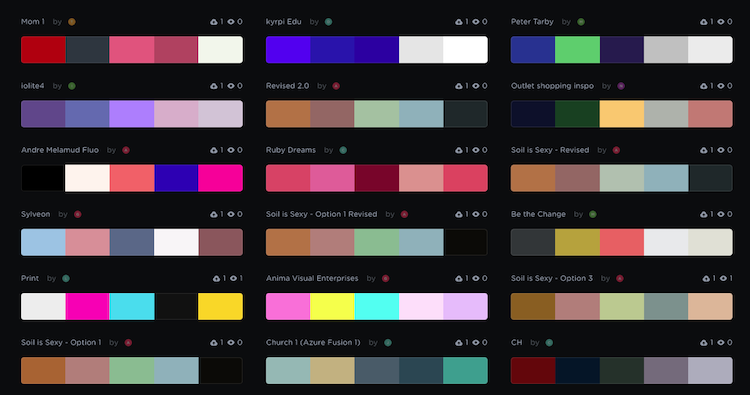 Finally, you can also pick ‘natural’ color schemes. These are color palettes that you select from photos in nature: looking at photos of natural scenery and picking out the colors that occur heavily in those. Make sure to think about practicality as you do all this. Just because a color scheme looks good, that doesn’t make it appropriate for a website. Ask: is it easy to read? To get help with finding your colors, try going to Pinterest and search for “color palette”. You’ll find images of colors you can combine. Another consideration is your choice of fonts. This is a relatively small detail in the wider context of your web design but it’s actually small details like this that make a web design look professional and give it that ‘sheen’. Don’t just work with the fonts that came with your theme then: think about adding new typefaces that will be easy to read on a range of devices and that will complement the tone and topic of your blog. traditionally used in print mediums and as such they have become associated with that kind of niche. Combining fonts can also be used to good effect. For your headings and titles for instance you might opt to pick something bolder and larger without worrying as much about legibility. Adding a custom background can also do a lot to customize the look of your theme and this is something you can update yourself relatively easily. Again, pick something that is on-point as far as your niche goes and which will add to the look and feel of the site. Another way to customize your WordPress theme is by adding widgets to the sidebars. Widgets are small forms, sidebars and other elements that can provide all kinds of functions on your site. For instance, many ‘opt-in’ forms for mailing lists will take the form of widgets, as will many advertising slots, feeds from social media etc. Using widgets is a great way to give your site more features and you can add additional widgets by installing them as plugins. Just go to Plugins – then add new plugins to find widgets and ‘behind the scenes’ tools that will enhance your site’s performance in all manner of ways. If all this is sounding rather complicated then there is an easier way – which is to try finding an a company you can outsource the work to. A great way to do this is to visit a freelancing site where freelancers can post their CVs and you can post your job offers. Good freelancing sites include UpWork (www.upwork.com), Freelancer (www.freelancer.com) and even Fiverr (www.fiverr.com). You can also just look online for agencies offering web design and WordPress skills. For logo specific work, I recommend 99Designs (www.99designs.com).